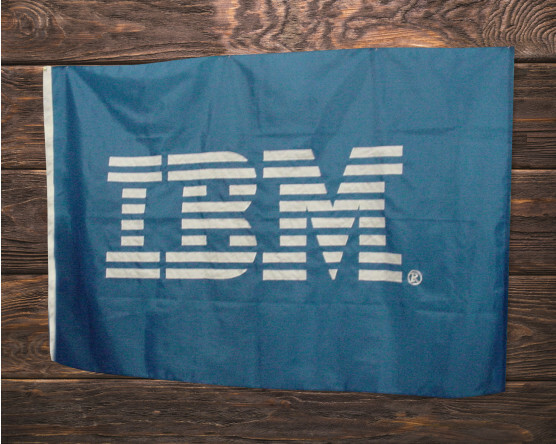 Why do big companies have custom flags with their logo on them? Because it works! 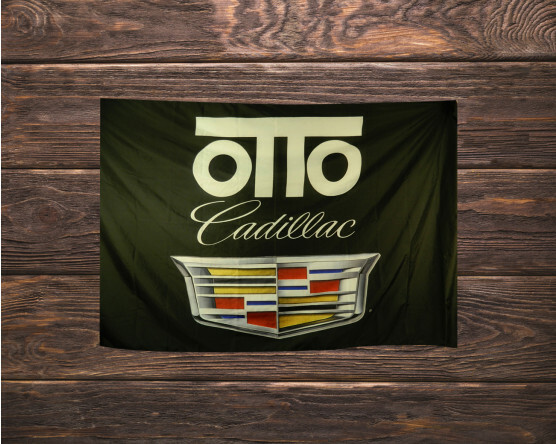 Custom business flags offer instant brand recognition and are an easy decoration for indoors or out. 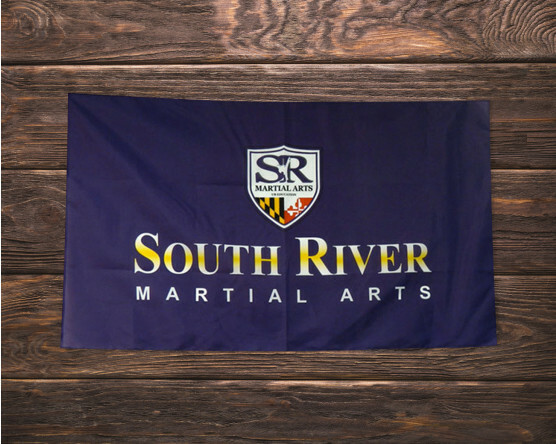 We can help you create a custom flag for your business based on your specifications. Submit a request or call 1-888-697-3524 for a quote. 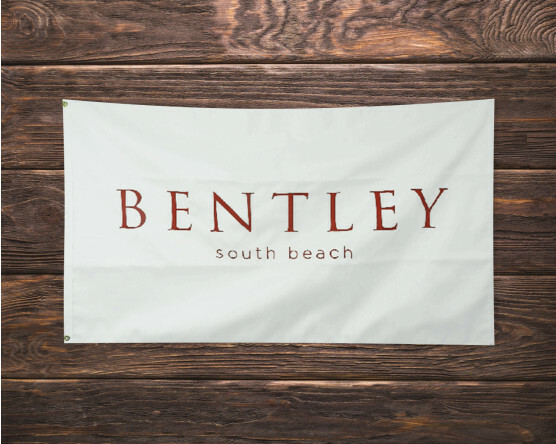 Custom outdoor flags are a great way to attract people to your business! 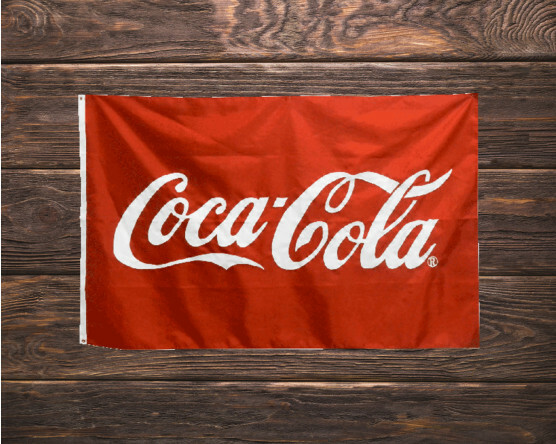 By displaying a flag outside of your business, you can increase brand awareness and draw in new customers. 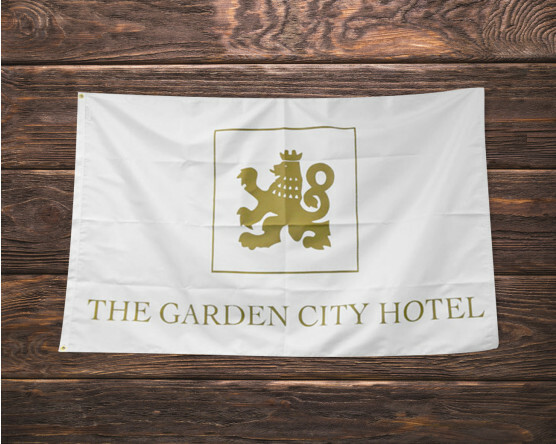 Displaying your logo on your business flag shows your pride to everyone who enters. 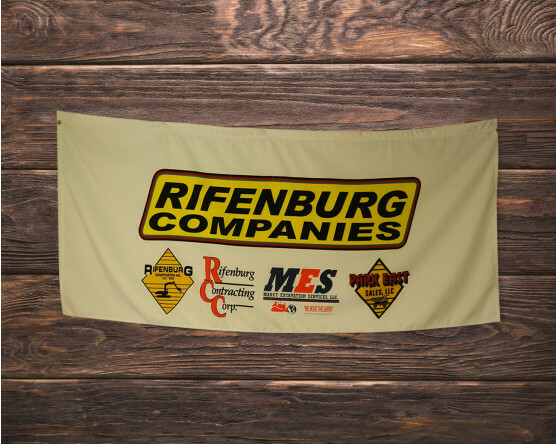 Why Buy a Custom Business Flag from Gettysburg Flag Works? 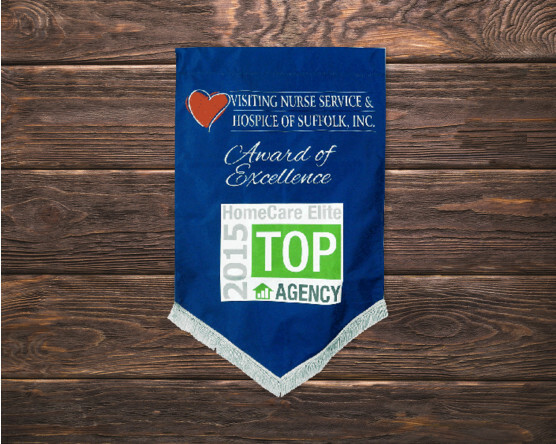 Custom outdoor advertising flags are a powerful marketing tool! 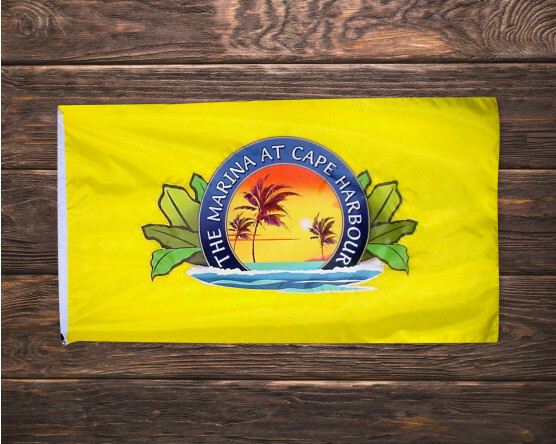 Displaying bright, attractive, custom outdoor flags is a great way to spread the word about your business. 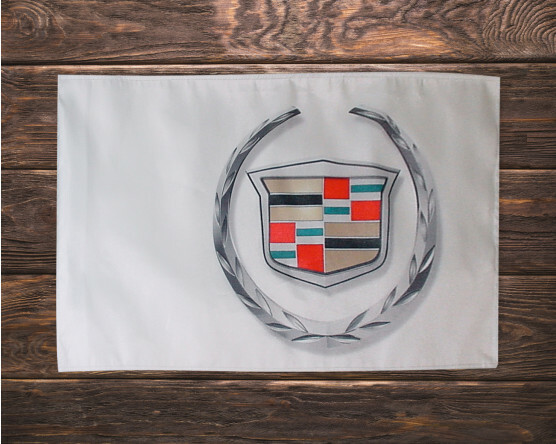 At Gettysburg Flag Works, we offer a range of sizes and shapes of business flags. 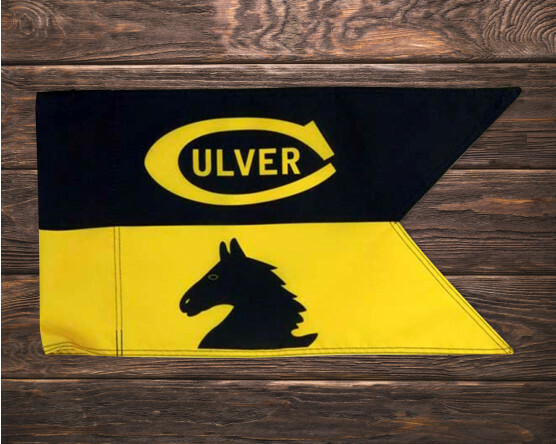 You can choose from our selection of templates or create your own design for your custom outdoor flag. 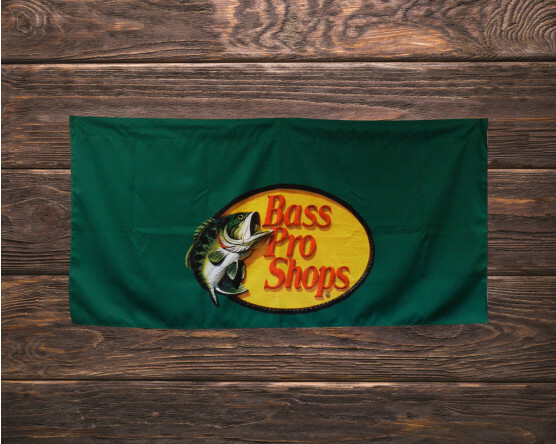 We offer a wide range of flags that are portable and easy to set up. 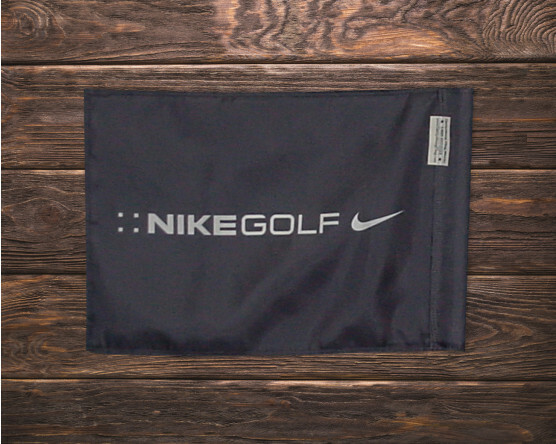 Our high quality, durable outdoor advertising flags are strong enough for outdoor windy areas and tough weather. 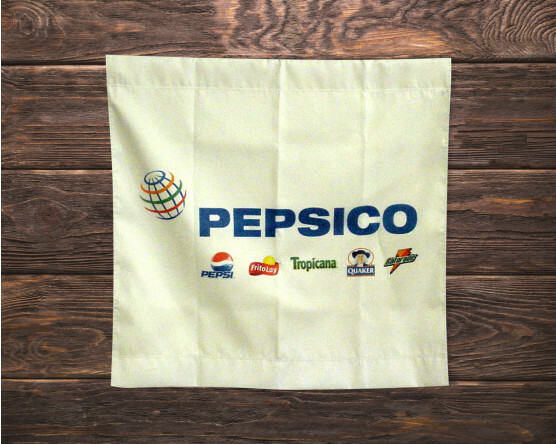 And best of all, our flags are digitally printed which will ensure long lasting bright colors. 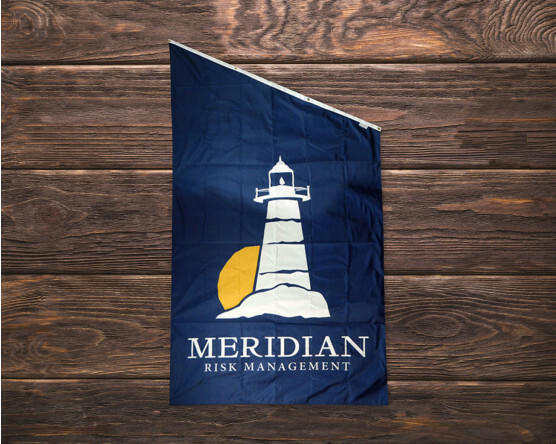 What kind of custom business flag is best for your business? 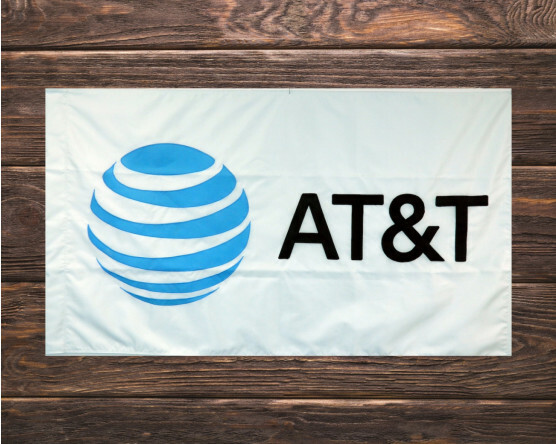 Typically, retail locations often use a company flag on their outdoor flagpole as well as advertising flags along the road, driveway or store front. 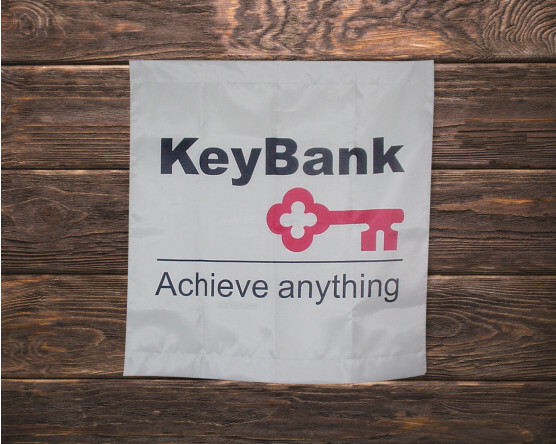 A standard rectangle flag is an easy choice and for advertising purposes, we recommend feather flags or avenue banners. The use of bold colors and graphics in combination with the movement created by the wind will catch the attention of your customers and get your store noticed. 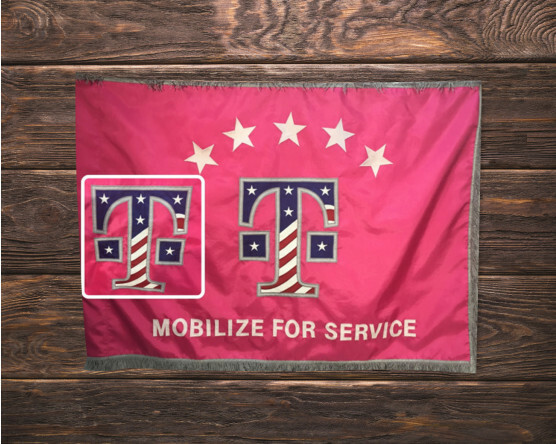 Professional offices frequently display a presentation set in their entry or office in addition to their flag display outdoors. This is the perfect spot to splurge on an applique or embroidered custom flag. Your clients will get to see it up close and appreciate the luxurious details in it. 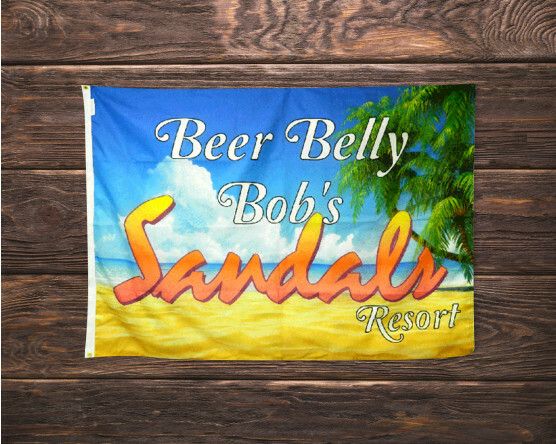 Events and promotions are great places to use custom flags and banners as well. The sky is the limit when decorating for events. Custom pennants and streamers, vinyl banners and stick flags will help with your fun atmosphere. 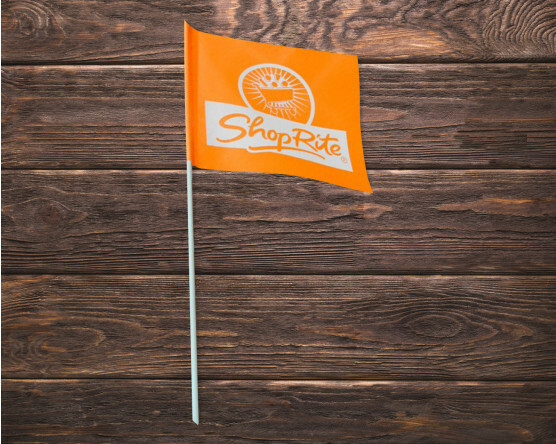 When it's time to mark your machinery, crops, shopping carts or even lawn, we can help with marker flags, bike flags and even car window flags. Customized with your message or logo, these can make the business run smoother and add safety. 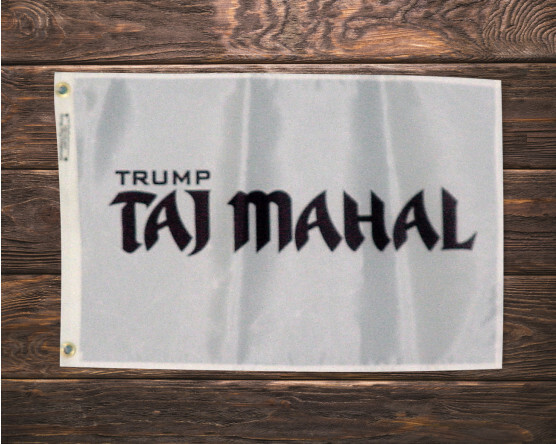 Ready to create your own custom business flag? It's easy! Whether you already know exactly what you want, or you'll need to talk through the options, our sales staff is ready to offer their expertise. Production time is generally 2-3 weeks but rush orders are usually able to be accommodated. Call 1-888-697-3524 or contact us online to get the conversation started. We will start by nailing down exactly what will work for you and get you a quote for the job.